I can’t believe I had never heard of acai till only about a year ago. Now I eat it whenever I can…especially now the weather is getting warmer! 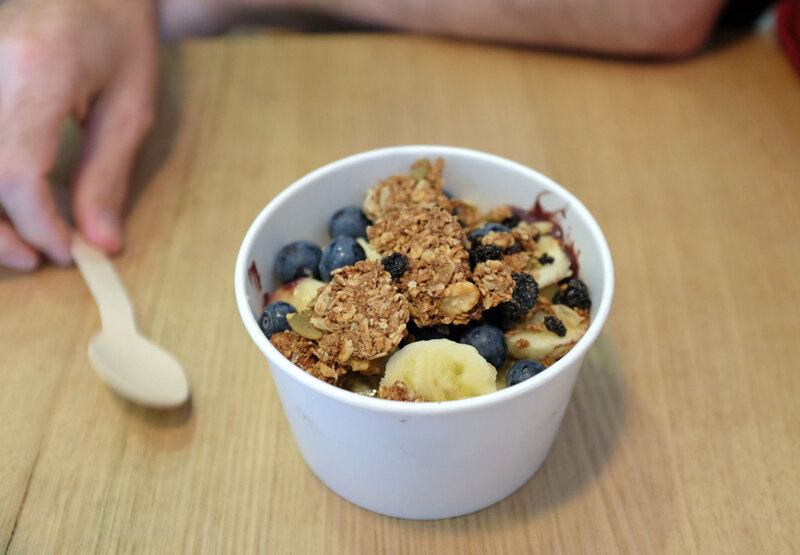 An acai bowl…full of frozen yummy goodness usually with some fruit and nuts…is the perfect way to start the day, or maybe for brunch! And a smoothie with acai is definitely worth a try! So what on earth is this acai? It is actually a berry that comes from a palm tree that grows in South America…and it is pronounced a-sigh-ee which for some reason I always forget how to say properly. They may be small, but packed full of good things…for example, acai is the highest source of antioxidants…two to three times more then blueberries. Plus, the berries contain essential fatty acids Omega 3, 6 & 9 and over 50 essential nutrients unique to where they are grown. Benefits of eating acai apparently includes improved energy, anti aging, cancer prevention, promoting skin health and improved digestion. I eat it because I love it…the taste is a little unusual but is easy on the palate, especially when combined with fruit etc. 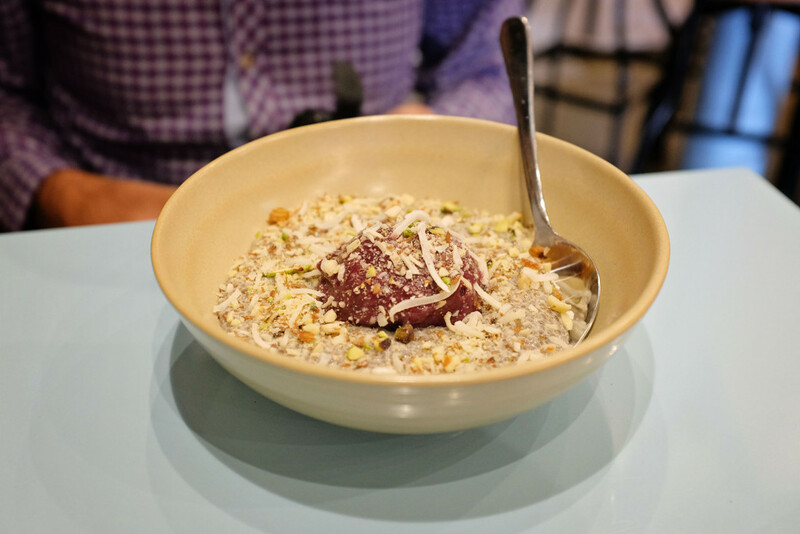 And the world is now catching onto to this super food, with cafes and restaurants everywhere offering acai bowls and smoothies. Do a search on any social media platform and you will find hundreds of images of this dish, with many different variations. And the good news is that you can make them at home, as frozen packs of acai can be found at many health food and organic stores…there is also acai powder although I have never used that. Just do a Google search for acai bowl recipes, pick the one you fancy and give it a go…your body will thank you! Are you an acai lover? 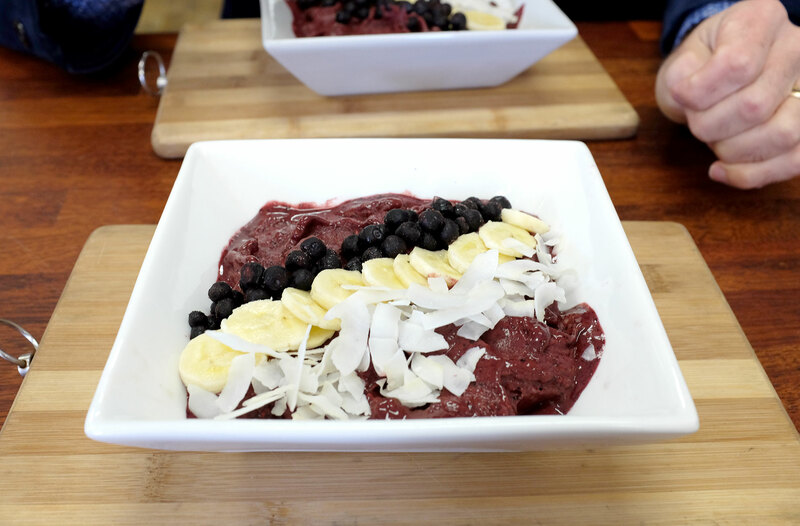 Do you have a great acai bowl recipe to share? Up until a few months ago, I had never tried acai as I could pronounce it. Now, I don’t mind it in a smoothie I must say. It has a tang that is nice.